Graduating from a crib into a “big kid’s bed” is a big deal for most little ones, but it can mean a lot for parents, too. Not only does this represent the end of your child’s days as a baby, it also comes with the daunting task of navigating the confusing world of sleep options. Naturepedic’s 2-in-1 organic cotton mattress is an ingenious response to this quandary. The mattress has a built-in waterproof cover on one side and a plush quilted surface on the other, so it’s perfect to use while your little one is transitioning out of diapers. 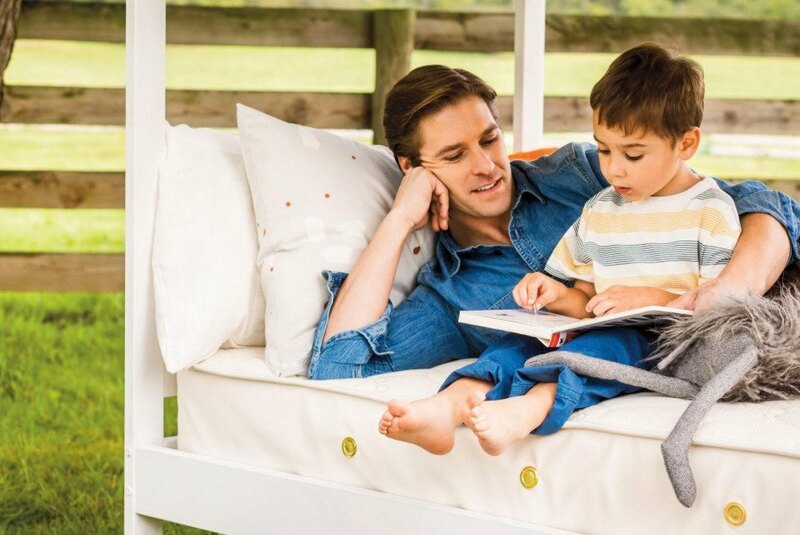 In addition, the 100-percent organic cotton batting is free from harmful chemicals and flame retardants that are still common in many mattresses on the market. Babies and toddlers spend up to 14 hours a day in bed, so it’s natural to want to ensure that their sleeping surface is as comfortable, safe, and well-made as possible. Naturepedic’s mattresses are made in the United States, and the 2-in-1 is available in twin, twin XL, and full sizes.